Napoleons may seem like a fancy dessert that you only order at a bakery. Thanks to the TV show The Chew for asking me to check out a few of their favorite recipes and encouraging me to create my own version, I am no longer afraid to make napoleons! 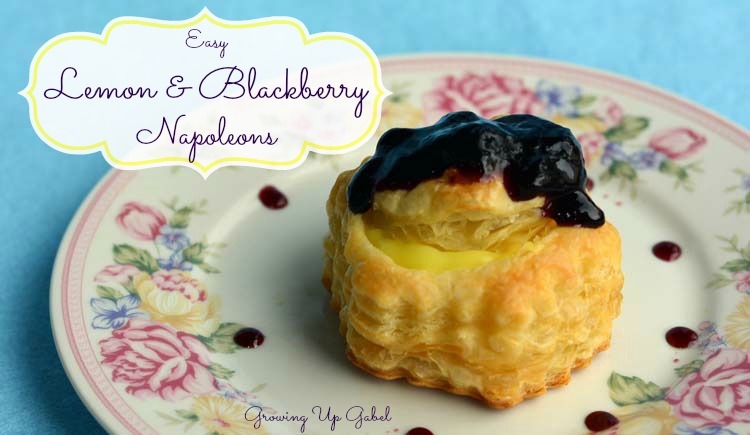 Frozen puff pastry shells are baked and then filled with lemon pudding and topped with blackberry jam for gorgeous, but easy to make, napoleons! I think that one of the hardest parts of being the cook of the family is not getting bored with what you are cooking. I mean, I love our family favorite recipes, but I also like to try new things. Finding inspiration, though can be hard and overwhelming. Plus, who can you trust to give you a great recipe that won't fail? 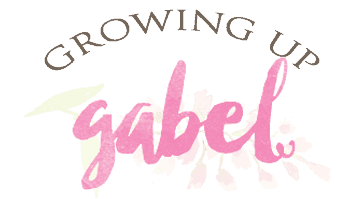 One of my favorite places to get new recipes is actually on TV and I've recently been tuning in to The Chew on ABC for some excellent cooking inspiration! All summer long, ABC's The Chew is your one stop shop for everything food. From grilling and outdoor entertaining to road trips and picnics, The Chew is dishing up the most sizzling, mouth watering meals! . Yum, right? But I made a few changes to use what I had on hand. I had lemon pudding leftover from making Lemon Meringue S'mores and blackberry preserves from making Lemon Cupcakes with Blackberry Frosting. Then, I ran across puff pastry shells on clearance at the grocery store and these easy and absolutely decadent Lemon and Blackberry Napoleons were born. These are so easy to make and so elegant that you can serve them up for guests who will think you slaved all day. 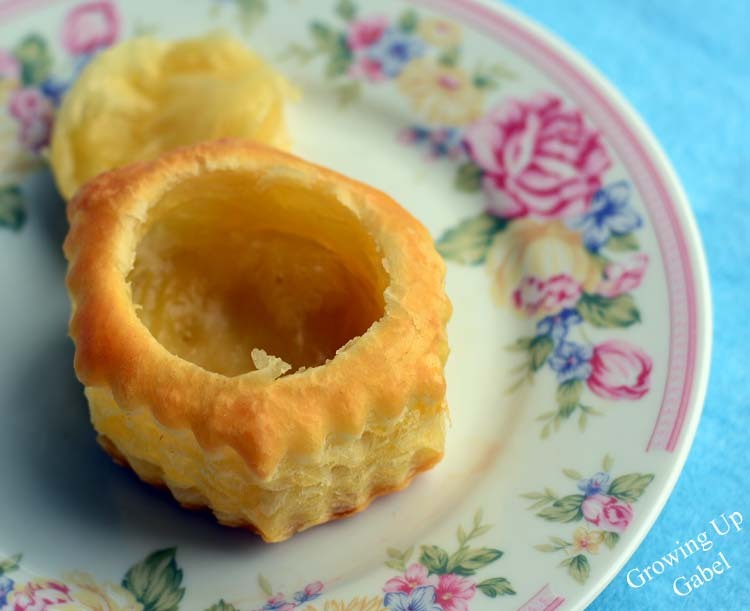 Just bake the puff pastry shells, cool, and remove the tops. Bake the puff pastry shells according to the directions on the package. Mine baked for 15 minutes at 425 degrees. Allow to cool completely. You can make these up to 24 hours before serving. Gently lift off the pre-cut "top" of the pastry shell and set aside. 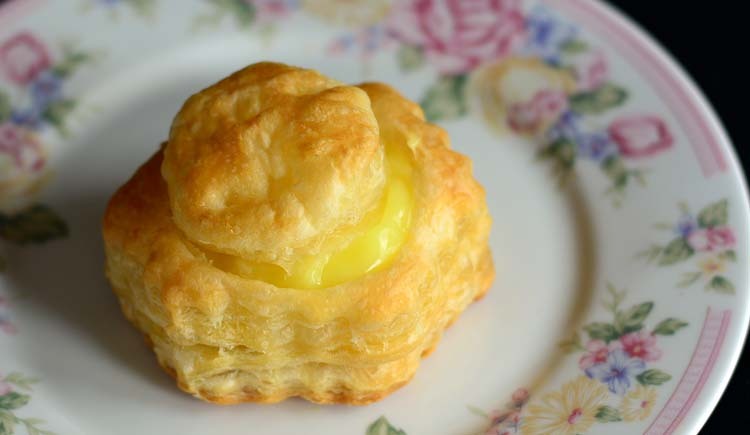 Fill pastry shell with lemon pudding. Return top to the pastry shell and put about 1-2 teaspoons of blackberry preserves on top of the shell. 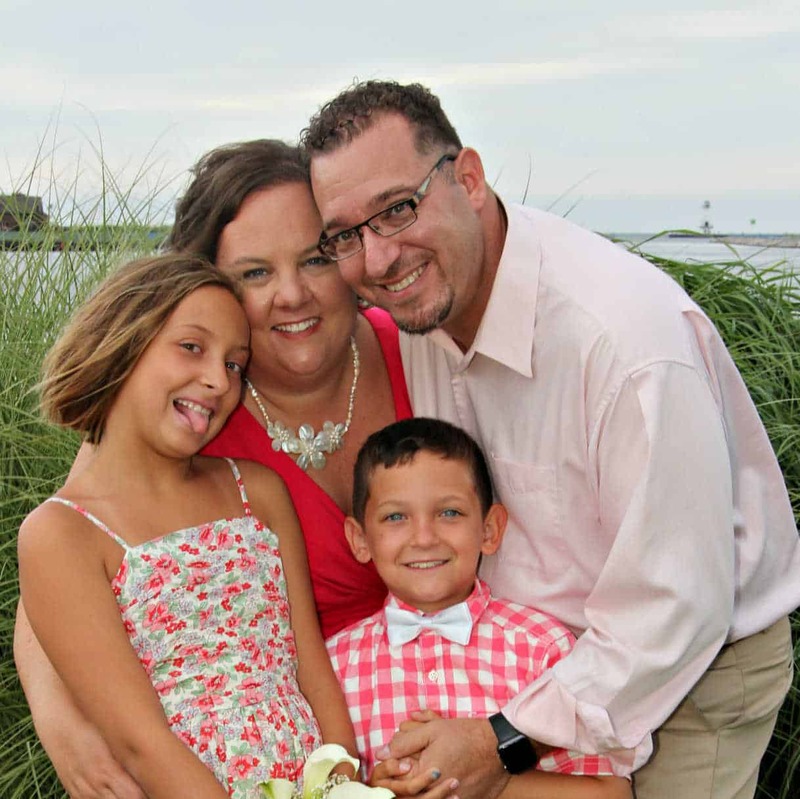 I'm always looking for new ways to spice up my Summer dishes, and ABC’s The Chew serves up everything from grilling and outdoor entertaining to road trips and picnics. Watch weekdays 1e|12p|c on ABC to see what celebrity chefs Mario Batali, Michael Symon, and Carla Hall, lifestyle expert Clinton Kelly and fresh face of healthy living Daphne Oz are dishing out to inspire you this Summer.